Seven time champion Roger Federer had no trouble advancing into the second round of Wimbledon. The Swiss maestro opened play at Wimbledon on Centre Court against Victor Hanescu, walking on court in a new RF jacket, along with his new Nike outfit and gear. 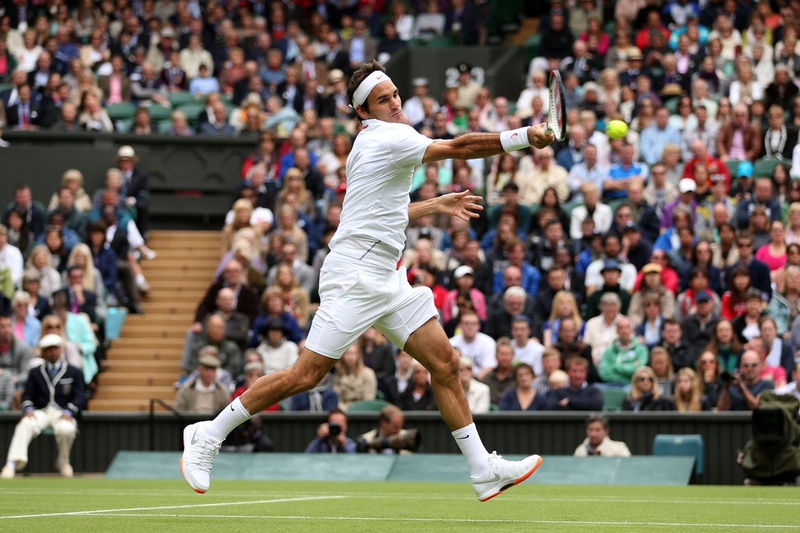 Federer cruised through his Wimbledon opener, 6-3 6-2 6-0, in just 1 hour 9 minutes. The Swiss fired 7 aces, serving 70%, winning 90% 1st serve points. He hit 32 winner to only 6 unforced errors, was 21/25 at net and 6/8 on break points. Federer will face Sergiy Stakhovsky in the second round on Wednesday. Read the editorial, Critical Time for Roger Federer.